Natrelle, created by Allergan, Inc., is a breast augmentation procedure that utilizes breast implants filled with silicone or saline. Natrelle has been used for over 25 years and is available as a mode of breast augmentation, revision, and reconstructive surgery for women in over 60 countries. According to the manufacturers, Natrelle offers the broadest range of safe and high-quality options for breast implantation. This range includes a variety of fillers, textures, shapes, and volumes. The Natrelle breast implant collection provides more than 140 combinations spanning a range of looks and feels. The main ingredients used in Natrelle implants include silicone gel and saline. 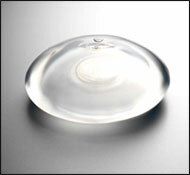 According to Natrelle, most patients who opt for this surgical procedure choose silicone gel-filled implants. The silicone gel used in Natrelle is a cohesive substance that is more of a soft solid as opposed to a liquid, so it holds its shape. The saline-filled implants are comprised of a salt water solution that resembles the body's natural fluids. Unlike the silicone gel-filled implants which are already filled before being inserted, Natrelle's saline implants are filled after being surgically placed into the body. As with any surgical procedure, many risks are associated with Natrelle. For this reason, we can't give a strong recommendation for Natrelle. Plus, the cost of this surgical procedure is far beyond the budget of most individuals in need of breast enhancement. Natural means are available which are just as effective and far less expensive. We recommend you do your due diligence before choosing any form of breast enhancement. If in doubt, discuss your options with a trusted surgeon or other medical professional.